You can experience the traditional craft of blacksmithing first hand when you take part in one of Telluride Forge's workshops. Each class is limited to four students, and will provide participants an opportunity to forge while they learn to master the tools of the trade. Classes take place on weekends, and run 9:00 a.m. to 4:00 p.m. The Blacksmith Starter: This one-day introduction to forging steel requires no previous experience working with metal. Students produce a fire poker while learning the basic principles of manipulating hot steel with a hammer. 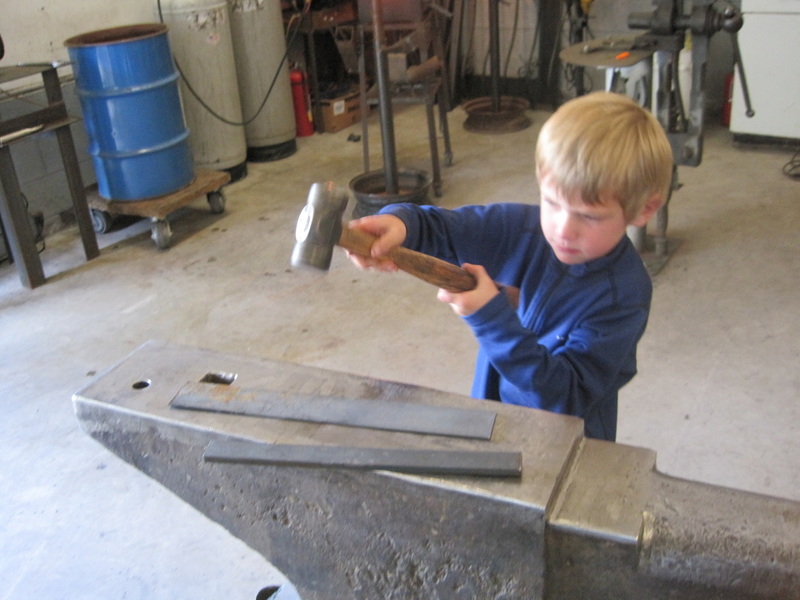 Instructional time: Saturday or Sunday, 9:00 a.m. to 4:00 p.m.
Intermediate Blacksmithing: This weekend workshop builds on lessons learned in The Blacksmith Starter and introduces students to tool making and more complex projects. Participants will produce a functional tool and a creative project such as a candle stick or individual sculpture. Contact us for more information on class schedules and fees.